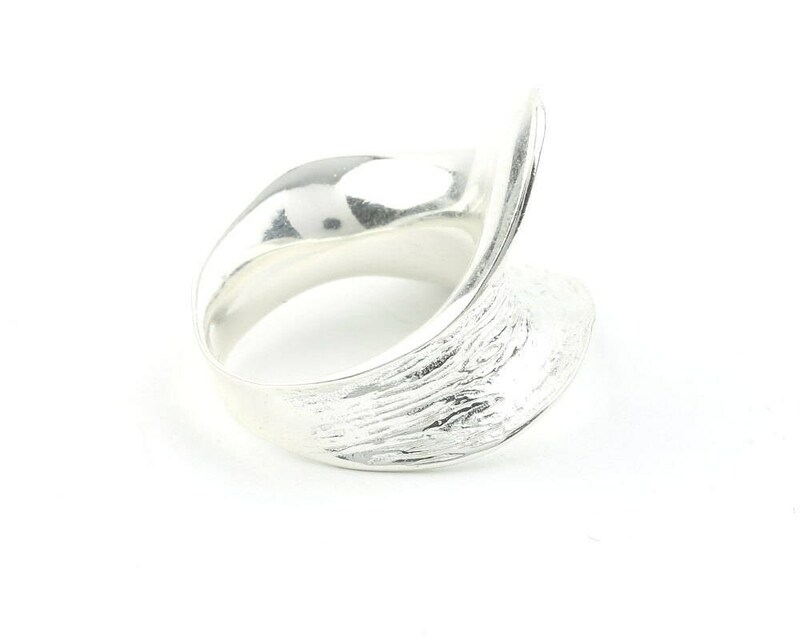 Beautiful modern sterling silver ring. Lovely sweeping textured fanned out design. 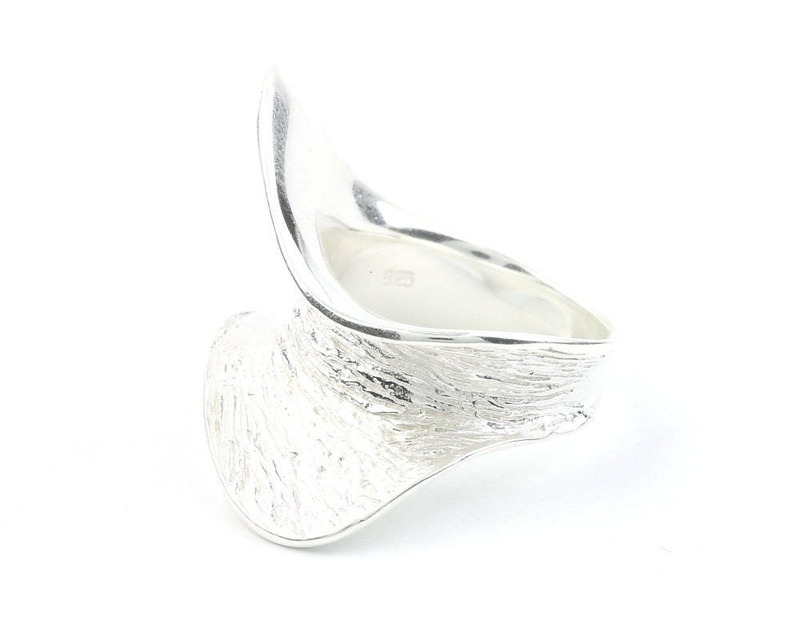 Unique concave shape has the piece sitting 3/8 inch high from the finger. 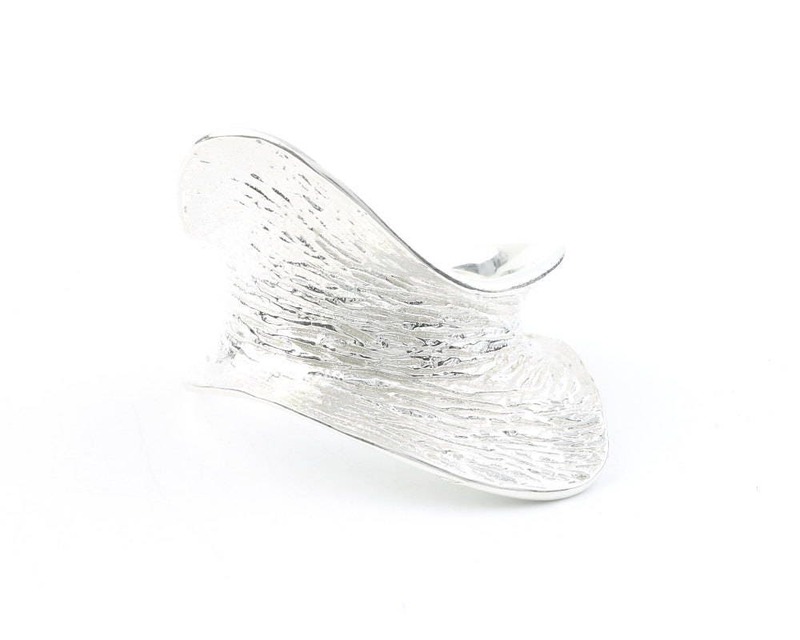 Really pretty and unusual ring.